The iconic tribute show, Legends in Concert, is now honored to call Norwegian Pearl home on the high seas. After five successful years aboard Norwegian Epic, the show has now made its way to Norwegian Pearl. 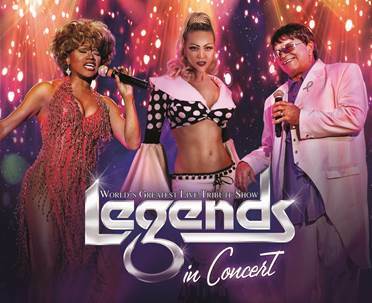 A staple on Las Vegas’ center strip for the past 32 years, Legends in Concert is known as the pioneer of live tribute shows and has assembled the greatest collection of live tribute artists and celebrity look-alikes in the industry. The perfect home for Legends in Concert Norwegian Pearl is home to many music festivals and theme cruises throughout her 2015/2016 fall/winter season. In addition, Norwegian will sail a number of itineraries through the Panama Canal for the 2015/2016 fall/winter season. During the summer months of 2016, Norwegian Pearl will sail a seven-day roundtrip itinerary to Alaska from Seattle. To experience Legends in Concert aboard Norwegian Pearl and to make a new cruise reservation, contact a travel professional, or call Norwegian at 888-NCL-CRUISE (625-2784), or visit www.ncl.com. Recently voted Best Tribute Show in the Las Vegas Review-Journal’s Best of Las Vegas 2015 poll, Legends in Concert, celebrating 32 years of success, is the longest-running independently owned production show in Las Vegas history. Owned and operated by On Stage Enterprises, LLC, Legends in Concert debuted at Imperial Palace Hotel and Casino in 1983 and later moved to Flamingo Las Vegas Hotel and Casino in 2013 in conjunction with the show’s 30-year anniversary. Initially introduced as a limited six week engagement, this Las Vegas staple now performs 10 shows a week, year round. Packed with all-star talent and powerhouse vocals from some of the world’s top tribute artists, the legendary show entertains audiences of all ages. The legend-look-a-likes perform using their own natural voices, and are backed by a live band that rocks the house with vivacious back-up singers and dancers who bring the performances to life. In addition to Las Vegas, On Stage produces Legends shows in such markets as Branson, Foxwoods Resort Casino, Long Island, Myrtle Beach, Niagara Falls, in Waikiki at the Royal Hawaiian Theater, on the high seas aboard Norwegian Pearl, and produces the acclaimed theatrical production Elvis Lives: http://elvislivestour.com. For further information visit www.legendsinconcert.com.